Sometimes life gets complicated. For various reasons ranging from loss of employment to health problems or sometimes a divorce, many consumers have to deal with credit problems that can complicate the purchase of a vehicle. Fortunately, there are several solutions that are available to those who need a car loan at an affordable price. At Auto Durocher, we want to help you get the credit you need to purchase your next vehicle. That’s why we take a collaborative approach that allows us to work for you with various financial institutions to obtain a customized financing plan that will meet your budget. The first step is to sit down with one of our auto credit experts who will take the time to listen and understand your needs. We will then be able to find the perfect pre-owned vehicle for you and your family, and also find the perfect financing plan for the purchase. There are several myths about auto credit which need to be clarified. First, even if your credit is not as good as you would want it to be, or even if you declared bankruptcy, it is always possible to obtain financing for the purchase of a vehicle. Secondly, it is important to know that second and third chance financing will be able to help us restore our credit just as well as if it was our first car loan. So, by buying a pre-owned vehicle, we are essentially improving our credit by demonstrating that we are able to meet and respect our monthly payments. And this is where the Auto Durocher team will be able to help you. We will find the perfect financing plan and the perfect pre-owned vehicle to go with it. 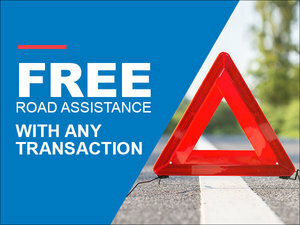 Gradually, as you make the required payments, your credit will improve, and you will have in your driveway a reliable, safe and durable vehicle that meets your needs. Auto credit can be overwhelming, it’s not a secret. There are many elements to consider and many consumers do not know where exactly they must turn. This is why our team of auto finance specialists take the time to explain in detail the different financing options available to you, in addition to answering all your questions. For a first, second or third chance credit, you can trust Auto Durocher. Come and meet our auto credit experts today! You can also start your financing application online right now!